Example of a custom catalog page using the client's scanned slides. 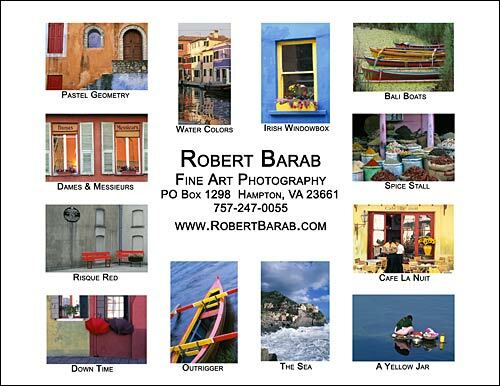 The above catalog page was created for Robert Barab to use as a hand out at art shows. I designed it using selections (channels) in Photoshop so that the images could easily be replaced. It's sized to print 8-1/2x11 but can be cropped down to 8x10 and printed as a photo without having to resize the content. The digital file was provided to the client on CD as a flattened TIF to have printed locally at any of the chain of office supply stores.